This playbook, designed as a lead-generation piece, addresses one of the biggest pain-points in the construction industry today: the lack of integration among construction tools. 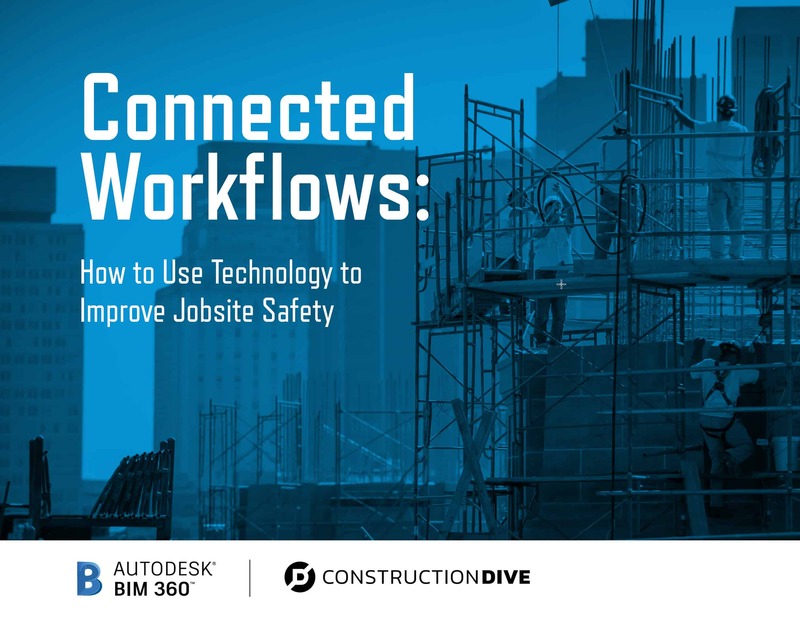 The topic of this informative e-book focused on how connected workflows are used to enhance construction safety efforts. During this project, interviews were conducted with experts from Autodesk BIM 360, Senera and HoloBuilder. Other technologies mentioned in this document, Smartvid.io and Triax, were assembled from background materials and additional research.